Here are the remarkable breakthroughs millions have used to accurately handle situations and truly thrive in life. If personal relationships go wrong, what should you do? If you are in debt, how should you handle it? If your job goes sour, how can you straighten it out? There are exact formulas for those situations and any others—precise steps, based on natural laws, that work every time. Find out how to gain full control of any condition or circumstance. Learn the practical formulas that reverse bad conditions and strengthen good ones. The laws that govern your survival and can guarantee a prosperous, happy future. What statistics are and how you use them to gauge the health of any activity and predict what will happen in the future. The Conditions Formulas that guide life—practical steps that can improve any condition. When you know and apply the data in this course, you can sort out any bad state of affairs and strengthen all positive ones. Your life can rise to new found heights. 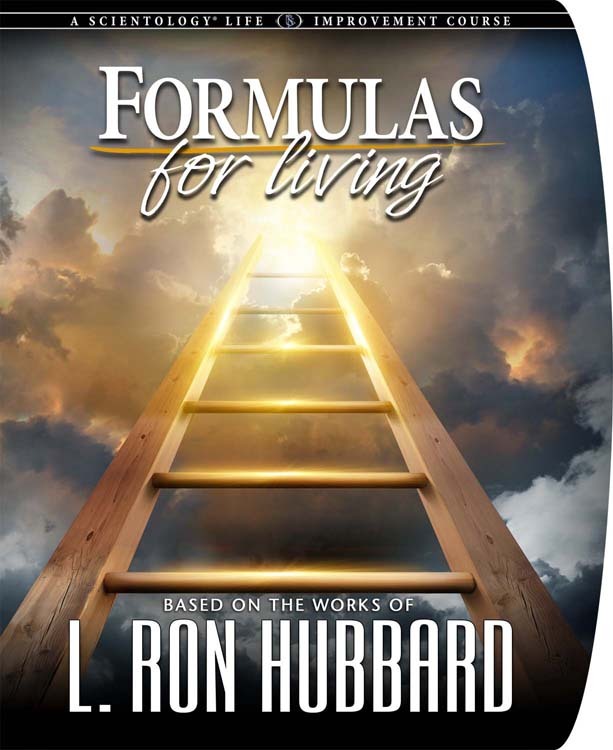 “Formulas for Living is a must-do course for everyone. Past failures had given me a great lack of confidence in my abilities to succeed since I did not know exactly what I had done when I succeeded and what actions caused me to fail. This lack of knowledge had been holding me back from brighter opportunities and greater risks. Now, with the exact steps to take to prevent failure and ensure success I am more confident in my abilities to handle any situation, whether threat of failure or accelerating success. I am ready to dive into life head-on!” E.K. “This course was so helpful. It gave me a new way to look at life. Number 1, the only true survival is through abundance. I had always looked at life as ‘what I needed to just get by.’ Number 2, these formulas when applied in order, step by step, work every time. I know now that I have the technology to improve any and all areas of my life. No more hiding. No more guessing” V.J. “This course was very powerful. I was able to learn how to take something from nothing and make it grow to unlimited proportions or take something broken and turn it around or take something that is doing well and make it do better. Who wouldn’t want to know how to do that?” J.P. Note: All our courses are delivered at our San Jose location. The courses are self-paced and can be started at any time. Length of course is 4 days part time.